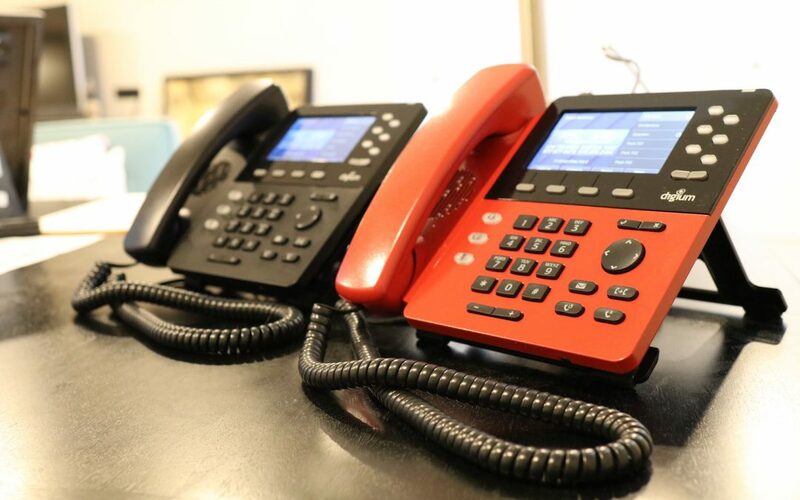 Choosing the best business phone system in 2019 can be tricky, especially if opening a new office or updating your old phone system. With so many options to consider, finding the one that’s the best fit for your business can be a tough undertaking. To help in your search for the right one, we researched and tested more than 35 manufacturers. The ones we think are the best choice are right here, and we even can provide a quote for the service to make them work in your business! Voice quality, ease of use, and system reliability are the most important criteria in order to make it to the top list and these phones have been extensively tested to be sure these are a safe choice. We won’t even mention the ones that failed — it’s a long list. 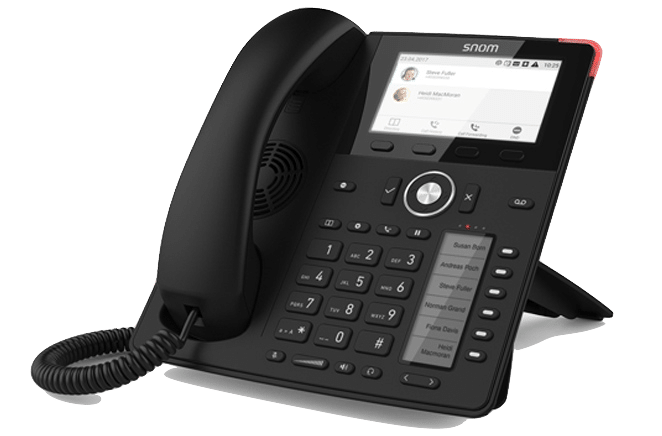 From the same manufacturer as the AT&T Syn248 and Synapse, the VTech Snom Eristerminal is an amazing communication solution when paired with the newest server from the S-Series product line. Designed to support the small business market, a web-based system administration provides easy to understand processes to add new people and make phone system changes. 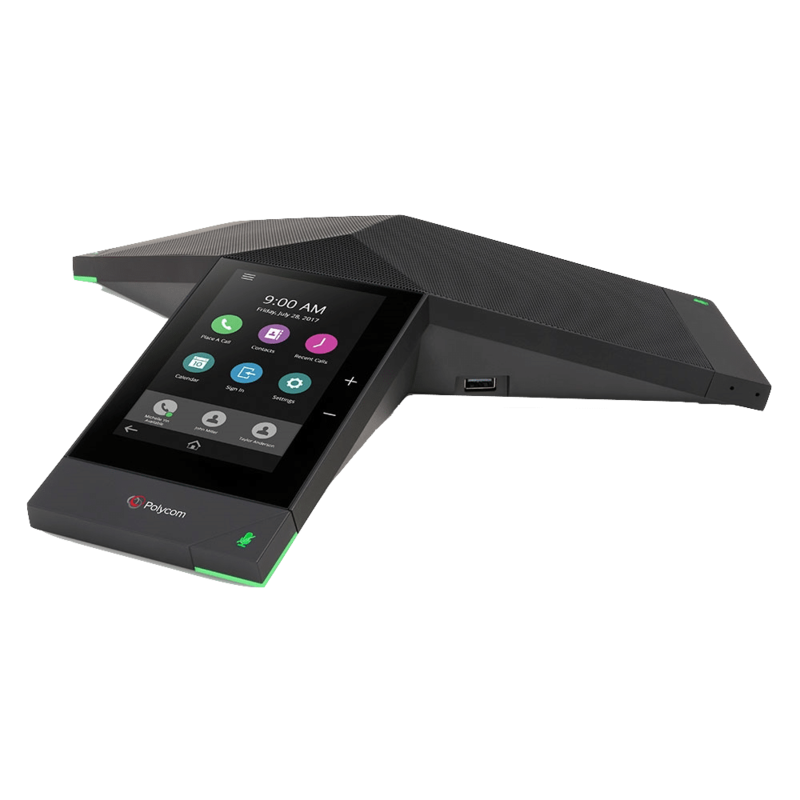 The new platform offers users flexible access to their communications system and includes initial support for 2 phone lines and easily grows up to 48 lines and up to 300 cordless and desk phones. And it’s your choice to have your phone services hosted in the cloud or installed to traditional landline analog or digital phone lines in your closet — whatever makes the best financial sense for your organization right now. Each Snom phone includes optional support for a Bluetooth or DECT wireless earpiece headset, making this system great for installations where easy and inexpensive cordless mobility is important such as retail and daycare centers. VTech includes a standard 3-year warranty with the option for up to 5 years of coverage. 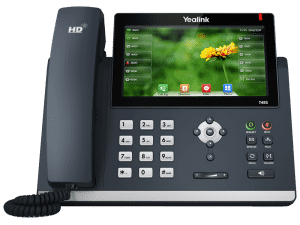 Yealink is once again at its innovative best, with the release of the T4x Series IP Phones. These phones are designed specifically for users who expect integrated communication to come with excellent functionality, great value, and ultra-smart design. For locations where a desk phone is required but no Ethernet cable is nearby, Yealink offers an option to use it’s reliable and secure DECT wireless extender, or use your existing Wi-Fi signal if you prefer, for quick and easy desk phone placement in places with no easy Ethernet cable access — an ideal solution for installations that simply cannot run new Cat5/Cat6 cabling everywhere. Installation is fast and flexible! With the ability to grow to huge potential capacities, the Yealink is a great all-around solution for small businesses, churches, retail, manufacturing, and schools that desire an affordable but highly expandable solution. It offers the ability to connect multiple locations together for calling from store-to-store, for example. With Phonewire, it’s your choice — have your new phone system hosted “in the cloud”, or installed with traditional landline phone lines “in your closet” — whatever makes the best sense for you right now. 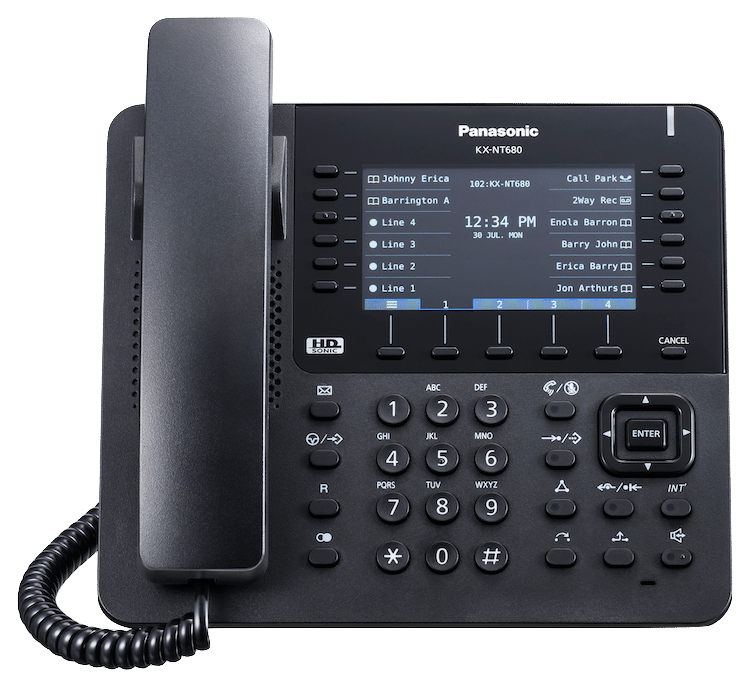 Panasonic’s business telephones offer a complete solution for businesses large and small — from the small compact hybrid communication appliance solution and the newest enterprise servers from their product line. Designed specifically to support the small business marketplace with simple web-based system administration, the new platform offers users flexible access to their communications system and includes initial support for 2 analog phone lines and 2 phones; that easily grows to support up to 2,000 cordless and desk phones as your business grows. And it’s your choice to have your phone services hosted in the cloud or installed to traditional landline phone lines in your closet — whatever makes the best financial sense for your organization right now. Because of its exceptional DECT cordless handheld telephone capabilities, this system is also ideal for installations where mobility is essential such as retail, manufacturing, and warehouses. With the ability to grow without the need for replacement hardware, Panasonic is an ideal solution for small businesses that desire an easily expandable solution. Easily connect multiple locations together for calling from store-to-store, corporate-to-retail, or country-to-country for example. Panasonic’s DECT handheld cordless telephone capabilities include several choices from a standard cordless model, a compact model with Bluetooth headset support, or a ruggedized dust, shock, and splash resistant IP54-complaint cordless model, And Panasonic includes a standard 1-year warranty with an option for up to 5 years of optional extended warranty coverage. #2. BEST HEADSETS & SPEAKERPHONES! The company that started in 1990 with a vision of transforming a simple device—the speakerphone—into an indispensable business tool has grown to become a global leader in video, voice and content collaboration solutions serving industries and enterprises of all shapes and sizes. With two decades of innovation and more than 950 technology patents, Poly leads the industry. In some industries, not everyone needs a physical desk phone – except for shared spaces, mission-critical applications, and conference rooms. Help teams move faster with softphones and wired or wireless headsets that are intuitive-to-use from day one, feature the industry’s best sound quality, near noise cancellation, and are so flexible that you may never need to purchase a desk phone at all. From the manufacturer who created the revolution of telephone systems for the past two decades, Digium Switchvox is the most capable and most affordable phone system for small and medium-sized businesses. You have the option to have your phone services hosted in the cloud or traditional phone system installed in your closet, connected to traditional telephone lines. 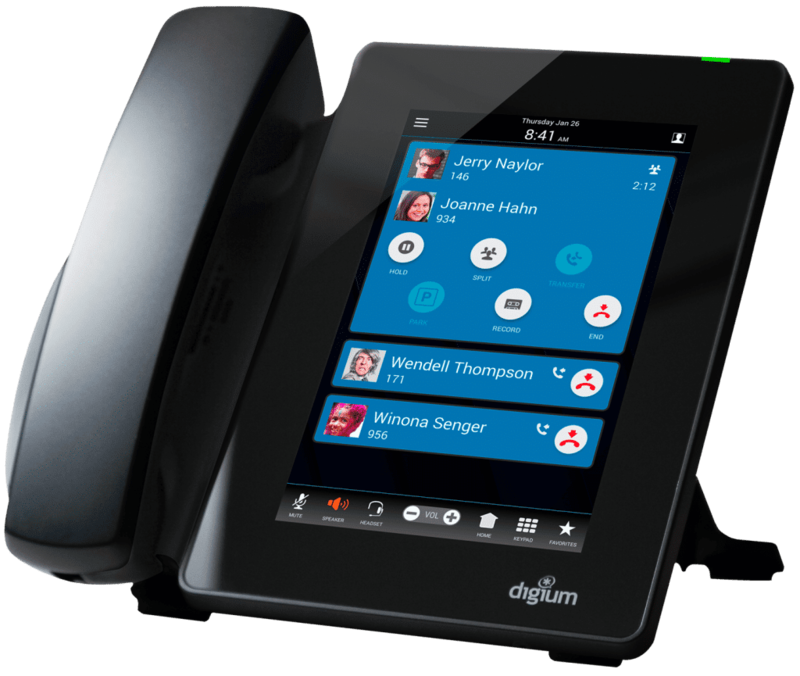 When making an investment in a new phone system, the Digium Switchvox system makes the most economical sense. Regardless of how your business changes and grows, your initial investment is always protected. For a small business, start out simply with five phones and a phone system installed in your closet connected to traditional phone lines. As you add new locations, peer that new phone system to the original system to allow call transferring, intercom, paging, and line sharing between sites. Or create your new phone system hosted in our cloud and your desk phones can be placed anywhere in the world — imagine, office employees, telecommuters, and home office employees all interconnected on one phone system as simply as unboxing your new phone and plugging it in! The Switchvox system has too many features to list and with its IVR scripting, you can easily create steps to take your caller almost any direction you can dream. For example, a school might offer parents a custom absentee line to quickly report student absences or a company may route new callers to sales people but existing clients are routed directly to a customer success team automatically based only on the Caller ID. And its built-in mobility allows calls to be made and received on your smartphone exactly like you were sitting in front of your desk phone — even hand off an active call from one phone to the other without placing the caller on hold! With Switchvox, the possibilities are endless, the investment is long term, and the price is surprisingly affordable. Looking to purchase new phones? Let us know about your needs and we’ll contact you right away.